Koils by Nature is talked about everywhere, as many naturals rave over the ultra lush conditioners and butters offered by the small business brand. In fact, one product is even referred to as the other "creamy crack". With a reputation like that, I had to try it out. After returning to natural hair in 2007, Koils By Nature founder Pamela Jenkis became incredibly passionate about healthy hair care. Driven and focused by how expensive some natural hair products were, she decided to begin researching, mixing, and testing out her own product blends. After some trial and error, she soon found her mixing stride in 2009. Koils By Nature officially launched in 2010 online, and has expanded to include national and international retailers. All Koils By Nature products are made by hand with natural ingredients and certified organic essential oils. 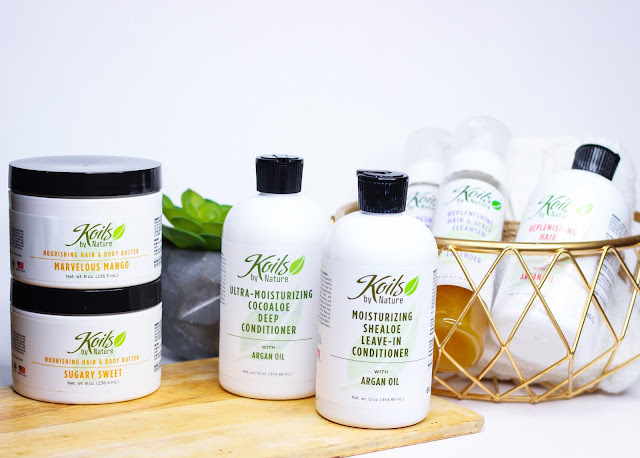 Koils By Nature products do not contain parabens, sodium lauryl sulfate, sodium laureth sulfate, phthalates, propylene glycol, mineral oil, PABA, petroleum, parrifin, DEA, synthetic color, or animal products. Read the full review at NaturallyCurly.com! Keep up with Koils By Nature!